James Joyce Bridge in Dublin. The European Commission has cleared the Irish National Asset Management Agency (NAMA) of any wrongdoing. An assessment found no evidence suggesting the agency had benefited from illegal State aid or that it granted undue advantages to certain property developers. In December 2015, the Commission received a complaint from five property developers. They alleged that NAMA distorts competition in the Irish property development market by granting loans at very favourable conditions to property developers, which are existing creditors of NAMA. Furthermore, the complainants alleged that NAMA itself benefitted from various illegal State aid measures in Ireland, including a State guarantee on its funding. According to a European Commission press release, NAMA was created by the Irish government in 2009 in the context of the financial crisis to restore stability to the Irish banking system. 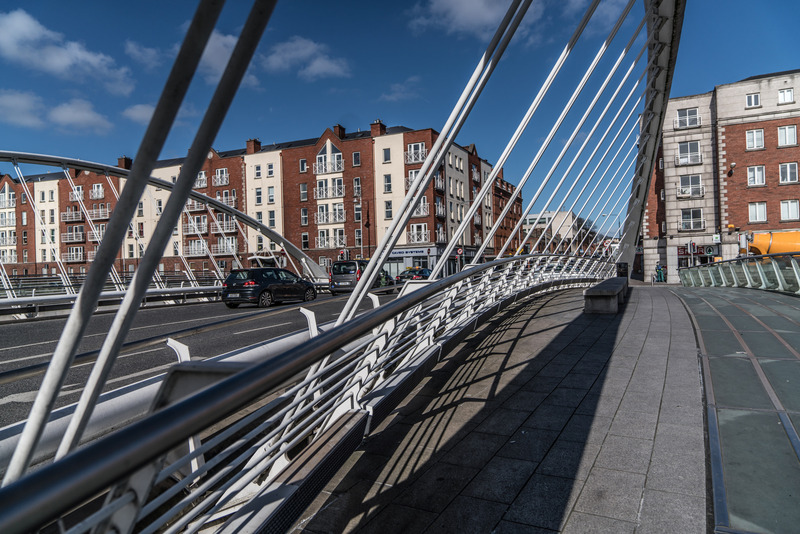 For this purpose, NAMA acquired large portfolios of non-performing commercial loans secured by land and development property from five Irish credit institutions. In its decision of February 2010, the Commission approved NAMA’s creation and support provided to the five credit institutions as in line with EU State aid rules. NAMA’s stated objective is to manage the assets acquired with a view to maximising their value and returning any surplus to Irish taxpayers. In practice, to achieve this objective NAMA has either sold property sites directly, or extended loans to its creditors (property developers), who would develop the site and then sell it on the market. NAMA has sold sites to independent developers, which will allow them to build 50,000 houses or apartments on those sites (without further involvement from NAMA). NAMA will only finance the development of up to 20,000 houses or apartments on other sites by the end of 2020. According to the Commission, NAMA has acted as a private market operator would have done and carries out a robust analysis in each case to decide whether it is more profitable to sell a site directly, or to extend a new loan to develop and then sell the property on the market.